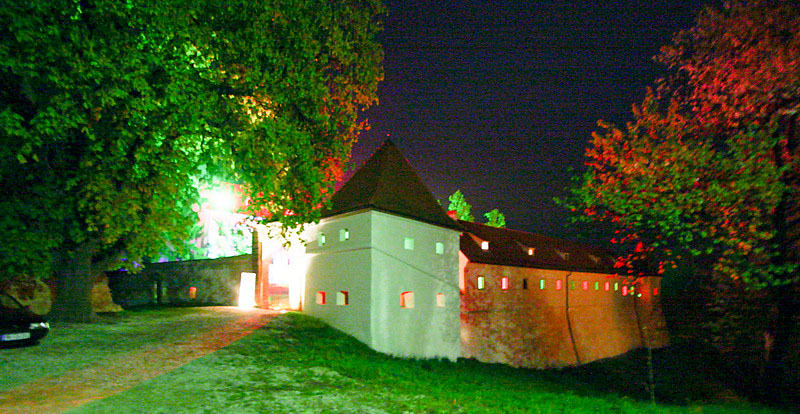 The Festival of love was conceived as a travelling event that occupies on one spring weekend of every year one of the castles of north-eastern Slovenia, and breaths contents into it. It has stopped in Svečina and Ptuj, but in Negova, as even tramps occasionally do, it surrendered to the temptations of its cosiness two years ago. In April, everybody who enjoys literary, music, visual and other creative surpluses and their most pleasant associations is invited to join us. The blend of this year’s weekend events presents top Slovenian literates and artists of all kinds. The literates will take the lead, presenting themselves in readings, poetry and prose duets, literary breakfasts and in-between occasions. 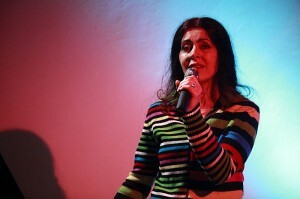 Another constant of the festival is poetry-in-music, as well as an exhibition connected to one of the literary events. Special attention is being paid to a parallel children’s program, with the aim of developing and encouraging the reading culture with the youngest, since they too deserve their share of literature, in the form of fairytale reading, puppet shows or creative workshops. At the same time we wish to remind you of the cross-border love that the festival nurtures with Pavel’s house, where a special introductory program is presented on April 14th, while on the 18th you are invited for a literary trip to the nearby Graz. A band of a varied genre that bets on witty and insightful lyrics. 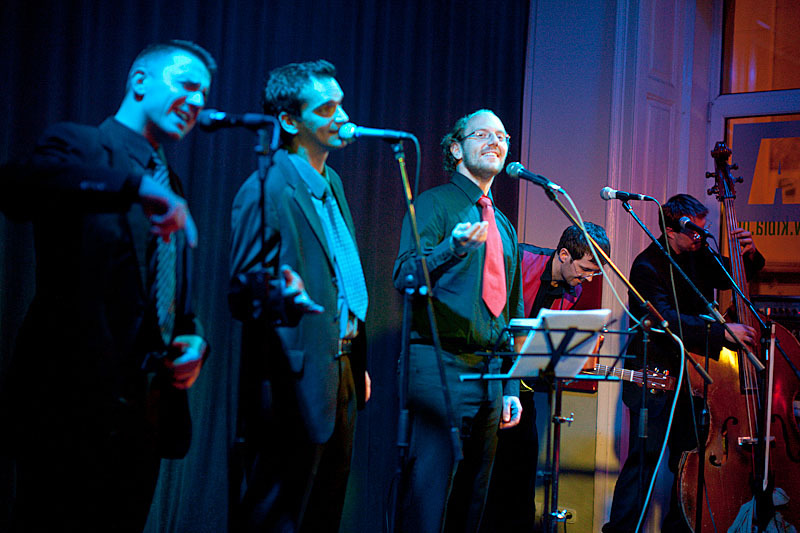 Their repertoire is partly made up of musical interpretations of the poetry of janez menart, or occasionally other poets and even folk poems. The cast literally ‘furnishes’ the poems with music, so that the musical part is a sort of a mirror to the verbal part. 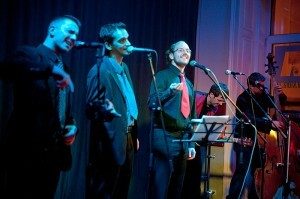 Their performances are regularly spiced with a great dose of humor and resemble a performance. Klarisa Jovanović & Della Segodba concert is a presentation of their latest album Od ljubezni (From the love). Their songs speak about the different facets of love: dangerous flirting, yearning, instant passion, devotion, sacrifice, playfulness, blind infatuation, rejected love, lust, and of course love that makes the world go round … these are just some of the shades of the emotion verbalized by France Prešeren, Nelda Štok-Vojska, Marko Kravos, Klarisa Jovanović, Kajetan Kovič, Feri Lainšček, Milan Vincetič, Ervin Fritz and Erika Vouk, and put to music by Gregor Stermecki, Klarisa Jovanović and Teo Bard. Maruša Krese presenting her last poetry collection Nenadoma se je stemnilo (It suddenly grew dark), published by the Pavel house. Her work speaks of journeys; of travelling for the purpose of the journey itself, and sometimes for the purpose of reaching the destination, of journeys made to tell stories, but mostly to catch moments, situations and life. Ne bodi kot drugi is a poetry-musical performance based on the poetry of Feri Lainšček, one of the most prominent authors on slovenian literary soil. Accompanied by the music of Igor Bezget, Dani Marinič and Tilen Turk, and the visual image by Zora Stančič and Aleš Pogorevčnik, the poetry will be interpreted by Simona Kopinšek and Feri Lainšček. Feri Lainšček is the winner of numerous awards: the Prešeren foundation award in 1995 for the novel ‘Ki jo je megla prinesla’, the kresnik award for the novel ‘Namesto koga roža cveti’ in 1997, the Večernica award in 2001 for the fairy tale collection ‘Mislice’, and another kresnik award in 2007 for the novel ‘Muriša’. Films have been made based on his novels, Petelinji zajtrk definitely being the most famous one. A literary event where Erika Vouk, one of the greatest slovenian poets and translators, winner of the Jenko and the Veronika awards, and Dragan Potočnik, poet, historian and traveler, respond to each other poem-to-poem, creating a poetic talk. Bičikleta Theater, the smallest possible theater in terms of member number, shows to the children that if we just stop and play for a second, our hands and fingers can create a wondering sleepy star, a giant frog, a beautiful spring daisy or even a snouty little mouse. Like any other castle, Negova too has its history, secrets and love stories. This is what the children will be talking about in this workshop, as well as trying to find an inspiration to write stories, poems, and make magical heart wands. The children’s creative ways will be discovered with the assistance of Simona Kopinšek and Aleš Pogorevčnik. Changing a song? Is that possible? Of course! You leave the melody as it is. The words you renovate, that is, you change them. The folk song about Katarina Barbara is the basis for a witty and above all original puppet show. The story is about a girl who took bad care of her little house. The Roofman took her roof, and the Windowman stole her windows. The door was stolen too. Who did it? Was it the Doorman? Talking with poet, editor, translator, art critic and foreword author Aleš Šteger. He has already published ten books, many of which have been translated to foreign languages. Ankaran Ensemble, an intersection of the Austrian and French schools of music, seasoned with the current inspiration of our closer and wider living space, presents a concert of songs by Fran Milčinski-Ježek, singer, writer, screenwriter and actor, who has been making generations of listeners and viewers cry and laugh for decades. As part of the cycle Andere Seiten & Saiten – Different sides & strings, which appears regularly at the Werkraumtheater in Graz, Slovenian authors and musicians are presented: Željko Perovič (sides), Katarina Juvančič & Dejan Lapanja (strings).